The Ball State University Libraries’ GIS Research and Map Collection (GRMC) has a significant collection of maps of Syria, Turkey, and the Middle East. The maps include both historic maps of the countries—including the Ottoman Empire—and new, updated maps. The top map (click to enlarge) is from a historic pictorial map of Syria from 1943 called Illustrated Syria available in the GRMC. The map depicts the country’s agricultural and industrial products and places of interest before the current civil war. 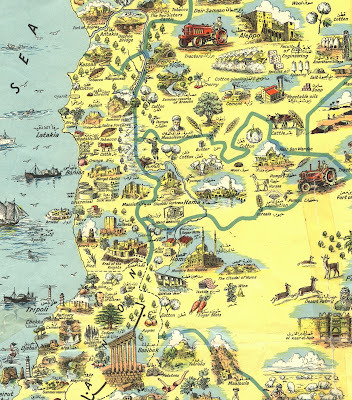 Other maps of Syria in the collection include tourist maps, maps of archaeological sites, road maps with images of sites of interest, economic activity maps, and land use and population maps. A unique tectonic sketch map in the Collection showing oil wells and petroleum exploration from 1978 was produced by the Foreign Scouting Service. Four sets of topographic maps of Syria at varying scales are also available. Newer maps showing administrative divisions and relief reveal the changing borders of the region, and many of the maps include the Golan Heights. City maps of Syria are also featured in the Collection, including a reproduction of a bird’s eye view map of Damascus from 1575. 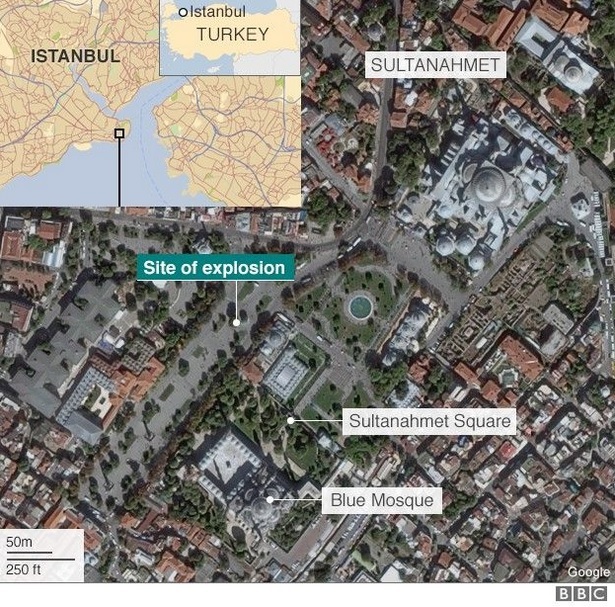 The second map was published by BBC News using data from the United Nations. The map depicts the towns of Syria that are besieged by government forces, rebel fighters, Hezbollah, and the Islamic State. A United Nations aid convoy was able to bring food to the city of Madaya yesterday. Madaya has been under siege from government forces for months. The city of 40,000 has not food rations since November, and reports of starvation are widespread. The cities of Foah and Kefraya in the north are also desperate. 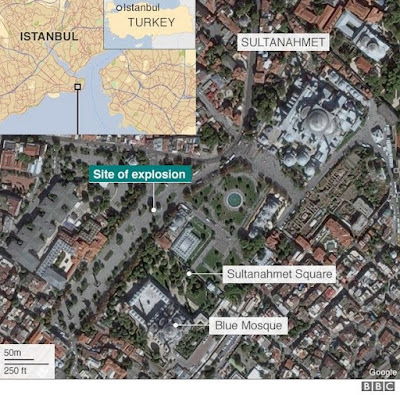 BBC News published the map of the Sultanahmet area of Istanbul showing the location of a suicide bombing today. This area of Istanbul is popular with tourists with the nearby locations of the Blue Mosque and Hagia Sophia. 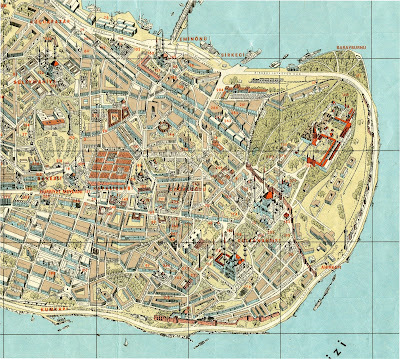 The last map is a detailed tourist map of the effected part of Istanbul from a road map of Turkey available in the GRMC. The map is published in English and Turkish and also includes maps of Ankara and Izmir. 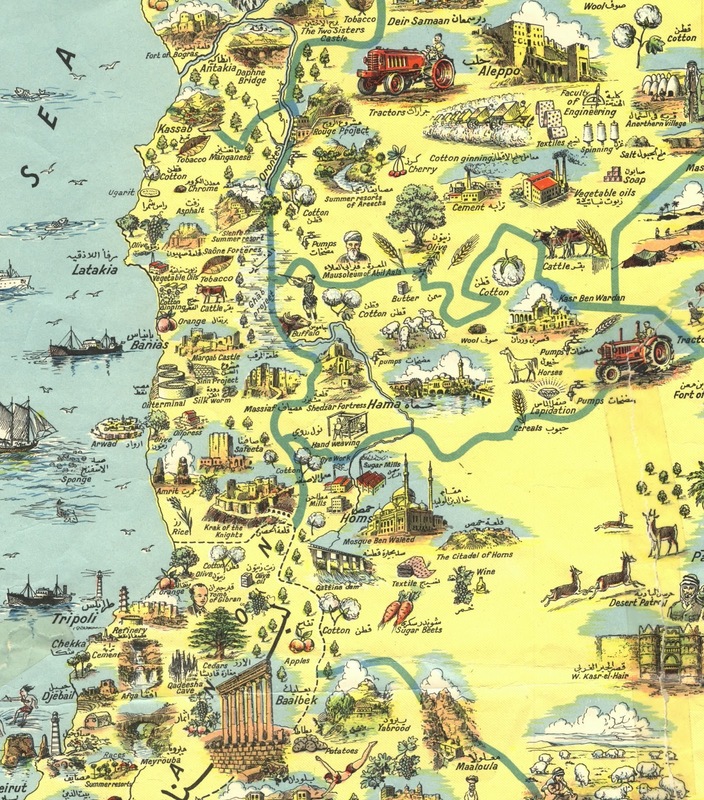 The map was published by the Turkish Ministry of Tourism and Information in 1980. The GRMC includes a large collection of historic and modern maps of Turkey, including original maps of the Ottoman Empire from 1867 and 1877. (These maps are also available in the Digital Media Repository). 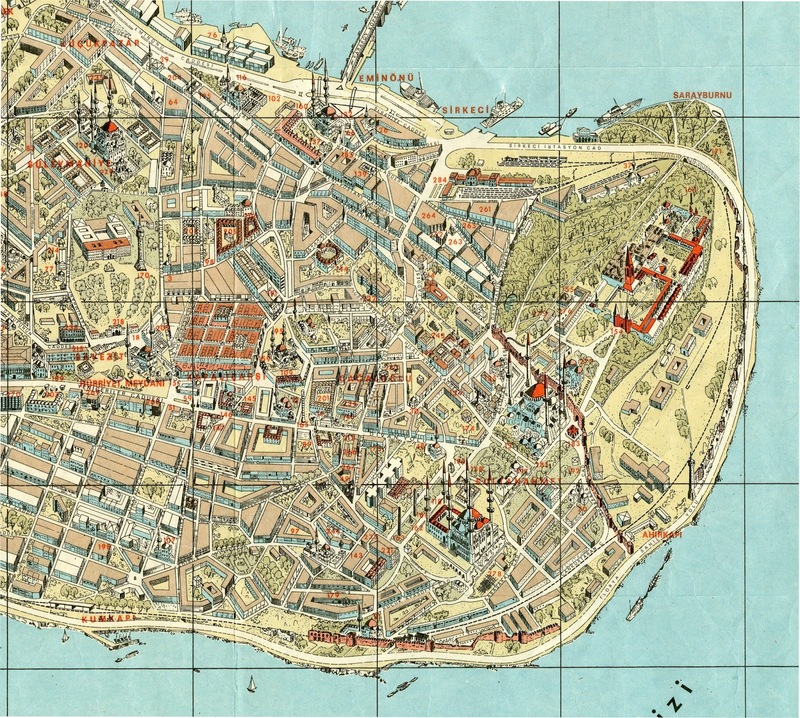 A unique historical reproduction map of then Constantinople from 1635 is also available. City, provincial, and strategic maps of Turkey published by the Army Map Service and the Central Intelligence Agency are also included in the Collection. Maps from the GRMC circulate for two weeks or longer. The maps can be used for research and learning or travel planning. Contact the GRMC for more information at 765-285-1097.